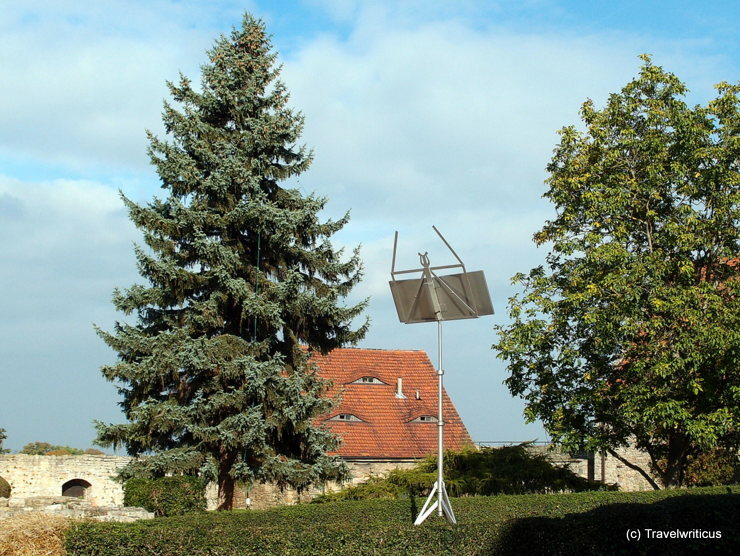 Three music stands (Notenständer) with a height of four metres remind of the fact that Querfurt castle (Burg Querfurt) houses a school of music. Artist Ingo Güttler created these music stands which play music and form a sound-installation. The stands can be removed during those times the castle is used for festivals or as a set for movies. This entry was posted in Castles, Public Art and tagged Germany, Querfurt, Saxony-Anhalt by Travelwriticus. Bookmark the permalink.